Check out this new job posting. Universal Studios is now constructing a permanent attraction based on The Walking Dead, and they need actors. Unfortunately they’re not looking for Rick or Daryl impersonators….they need zombies, and lots of them. “The Walking Dead” attraction will be a real-life interpretation of AMC’s award-winning television series. To elevate its authenticity, Universal Studios Hollywood is partnering with “The Walking Dead’s” creative team, including visionary executive producer and director Greg Nicotero and his special effects company, KNB Efx. 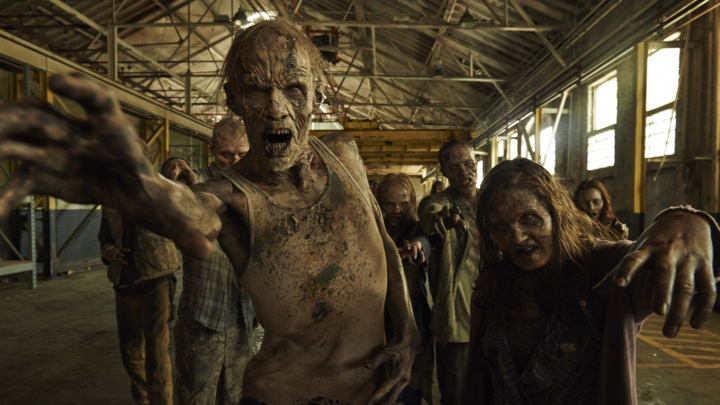 Nicotero’s team, responsible for masterfully creating the show’s realistic decaying walkers, will construct prosthetics, utilize original molds, and painstakingly apply paint and detailing to the attraction walkers. WHO: Hundreds of actors aspiring to become “Dead Inside.” Auditioners are asked to not attend in makeup or costume. Shambling around a small area and groaning has got to be the easiest job currently being offered in the world. Even flipping burgers requires some level of skill with a spatula. They really feel they have to hand-pick from thousands? Couldn’t they, theoretically, hire the first hundred people that show up? “You wouldn’t want the ones that might show up to work drunk or high,” you might say. Well, with this kind of job, who would know? If you live within commuting distance of the theme park and can support yourself on this kind of salary, head to USHAuditions.com to sign up for an appointment. Auditions will be held May 5th and 6th.